Chapters Photography knows that fundraising is an important aspect of your school’s budget. If you have a goal, we’d love to help you achieve it. Chapters Photography offers a unique auction item for your school. Because children’s art projects typically bring in top dollar at the auction, I designed this item to combine children’s artistic talent and photography. It’s a great way to mark the kind of art work a child is creating at any given age. And, parents love it. This can be a wonderful highlight to an auction because it can be an affordable piece for all parents purchase. A class art project can be a nice live auction item, but only one family can take it home. Some schools have chosen to use this concept as a ‘Raise Your Paddle’ fundraiser, or as a gift to parents who purchase a ticket to attend the auction. Our process for this project is simple. 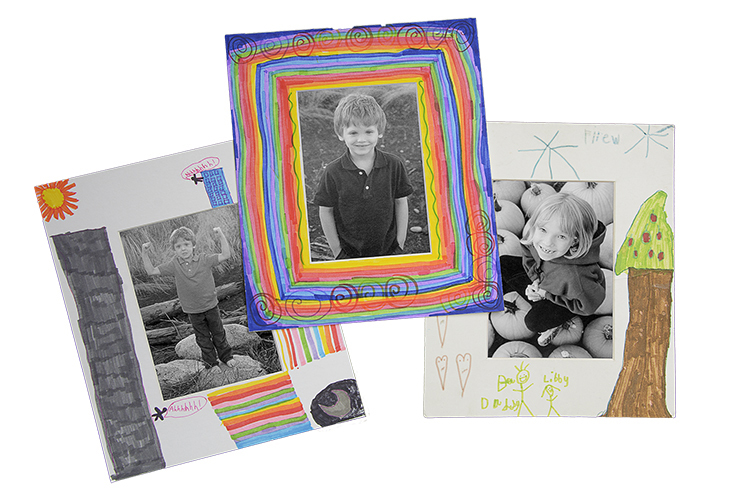 Chapters Photography will provide an 8×10 matte board with a 4×6 opening for each participating child. We can serve your entire school, or an individual classroom. We will also provide a black and white 4×6 print from the child’s school portrait session. In some schools, parent volunteers are brought in to help supervise the art project and assemble the finished product. Other schools choose to have teachers or the art teacher oversee the process. Either way, this has proven to be a memorable and profitable feature of the auction.